^ a b セーン 1999, p. 173. ^ セーン 1999, p. 162. 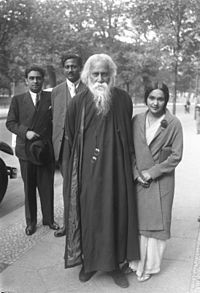 ^ Selected letters of Rabindranath Tagore from Cambridge University Press, Oriental publications 53, edited by Krishna Dutta and Andrew Robinson.